In a period of uncertainty in our economy where budgets are being scrutinized, competition is at an all time high, product life cycles are getting shorter and the demands of share holders seem at times unreasonable, the need for experienced leadership is imperative. It's all about flawless execution and delivering results worthy of the proper level of reward. Reducing financial risk is a primary focus in today's business culture and carrying higher levels of overhead is unacceptable. For these reasons we started "Next Vision" 10 years ago, because it's not about what you did or what you're doing now, it's about the next success. The next success is a result of proper planning, minimizing execution risk and driving acceptable return on investment. In any business, understanding the ecosystem and where to play and where not to play are keys to success. The old saying of -- it's more important to understand "what not to do" rather then "what to do" has huge implication in today's resource constrained business climate. We have a business structure that's results oriented, where all expectations are set up front. Each project or initiative is carefully outlined, planned, forecasted and executed by our team or implemented within your organization. Fernando Corona has a proven track record in the IT , Wireless and Medical Device industries with Fortune 500 and startup companies. 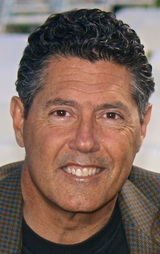 He is part of the executive team at Glucovation as their Executive Vice President. Corona is also CEO and Co-Founder of smrtACCESSORIES a wireless accessories manufacturer as well as Founder of Next Vision, a technology consulting firm. Fernando has held several executive sales, marketing and operations positions including Vice President/General Manager at Cricket Communications where he helped develop their wireless channel strategy and headed up the accessories, broadband and tablet businesses. Prior to Cricket, Fernando was the CEO of V-Enable and part of the founding management team of Packet Video as well as CEO of Tandberg Data. Fernando also held senior management positions at Allied Telesyn, Western Digital, Maxtor and AST Research. Glucovation is developing a set of technologies and systems to revolutionize the way glucose is measured in the body and provide a material solution to the Diabetes epidemic. With a combination of electrochemistry sensing technologies, wireless technologies and software development the company is poised to be disruptive in the connected medical device segment for the Diabetes market. The company recently raised Series A funding from a strategic investor in China that has medical device distribution and manufacturing capabilities. As an industry leader in the "unlimited" wireless service, Cricket Communications has been instrumental in establishing new ways of providing a full range of wireless services to the underserved demographic segment. During my tenure I was responsible for channel strategy, sales operations, and business unit leadership for accessories, broadband and tablets. V-Enable began as a voice to text wireless technology company. As CEO, I recapitalized the company with 3 rounds of professional financing and repositioned the company for growth. Since my departure the company has changed their name to xAd. A true technology innovator, Packet Video was the pioneer of streaming MPEG-4 video to a mobile device. As SVP of Marketing I was responsible for creating/promoting the product and branding strategy. The company raised $130M in institutional investment in a three year period. Tandberg Data is a leader in the tape drive storage segment. As CEO, I re-established the brand, marketing and sales direction for the company. This was a classic turnaround situation in a declining segment. The company was restructured, new channels created and product specific focus was implemented. Maxtor was a hard disk drive storage company prior to its acquisition by Seagate Corporation. I was brought in as a consultant to create a two tier distribution strategy. Allied Telesis is a leader in various connectivity segments of the network products market. I joined the company to grow their network peripheral portfolio and shortly became in charge of 5 of their product divisions including the engineering team associated with these areas. 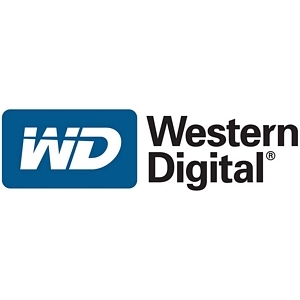 A leader in the personal and enterprise storage segment, Western Digital has become the largest supplier of disk drives through both acquisition and organic growth. During my time at WD, I managed distribution product development, started the branded retail business unit, managed technical support, lead the sales operations in Europe and was the Vice President for the enterprise storage division. The original creator of the integrated disk drive, Miniscribe sold to OEM's, Distributors and the VAR channel. I joined to create a new retail division and manage their distribution channel. As one of the first companies to arrive on the scene to support the new IBM PC with peripherals and add on I/O products, AST Research became a household name in this segment. Their flagship product, the "Sixpakplus" sold in the hundreds of thousands. I was one of their first sales people handling most of the US and establishing their distribution and computer store channels.